Produces clean water and product. Reduces the risk of high pollution penalties. Treatment of marine slops, bilge waters, ballast water and marine diesel / oil. Treatment of food waste, cheese whey etc. Recovery of fibers & pulp from paper mills. Treatment of ground water systems. Separation of contaminates, up to 95% reduction in BOD, COD and suspended solids, helping to reach WAC criteria. Reduction in waste disposal cost as a more compact sludge / recovered product. Separation of emulsified oils, greases, paints and latex emulsions. 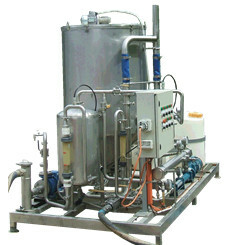 Recovery of solids (industrial), municipal waste and water treatment. works and other similar industries.